Testing for Telecommunications, Automotive, Defense & Aerospace, Medical & Health Care, Industrial, and General Electronics. Corelis offers a complete product line of JTAG (boundary-scan) circuit board testing tools and serial bus analyzers for various industries, for general testing and in-system programming of electronic systems. Corelis tools are currently in use by various industries such as Telecommunications, Automotive, Defense & Aerospace, Medical & Health Care, Industrial, and General Electronics. Corelis software is configurable to meet any application and Corelis hardware is available for a wide variety of host interfaces, including PCI, PCI Express, USB 2.0, Ethernet/LAN, and PXI/cPCI, with price and performance to meet your specific industry’s requirements. 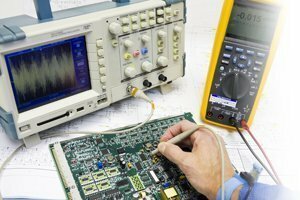 State-of-the-art telecommunications and data systems present increasing challenges to testing – dense circuit boards, high-pin-count and BGA components. Large scale systems contain huge quantities of boards with many opportunities for structural defects – defects that may occur during product manufacturing, or latent defects that may cause faults in the field. Corelis boundary-scan tests can be used to test a single module, or merge together to test a system of modules. Corelis tools leverage the boundary-scan devices already designed into a board to discover assembly defects quickly and accurately. Because Corelis tools are portable, they can even be deployed in the field for structural and functional testing. JTAG Boundary-Scan – Use industry-standard IEEE-1149.1 tools to test and program Printed Circuit Board Assemblies (PCBAs). JTAG Embedded Test – Take advantage of a built-in CPU for functional testing—before the system boots. Modern automobiles include diverse, interconnected electronics—systems that must operate reliably over long periods of time. Corelis JTAG tools can help overcome reduced test access problems when high testability is required—JTAG structural tests require just a TAP connection, freeing up valuable PCB real-estate. Using just a PC and JTAG controller, testing and in-system-programming can be performed on up to 8 units concurrently for high-volume production. Tests are easily integrated with existing test systems, providing additional test coverage without requiring added manufacturing floor space. As automotive technology progresses and electronic systems take over more automotive functions, a wide variety of embedded systems are being introduced; automotive systems that often include multiple CPU architectures within a single assembly and with disparate ecosystems of design and test tools. Corelis JTAG Embedded Test (JET) can be used alongside boundary-scan to add functional test to embedded systems with supported microprocessors for early detection and diagnosis of system faults. High Volume Test – Use industry-standard IEEE-1149.1 tools to test and program up to 8 units under test (UUTs) simultaneously. Integration with Existing Test Systems – Corelis has partnered with vendors including Teradyne, National Instruments, Checksum, and more to provide integration solutions for a wide variety of test systems. High Test Coverage for Any Form Factor – The need to fit more capability into smaller spaces means fewer test points available for testing. Corelis JTAG/boundary-scan tools provide high test coverage without the need for test points. 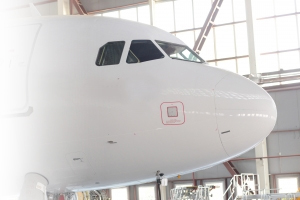 Corelis’ JTAG test tools are ideal for high reliability applications including avionics and RADAR systems, where detection and diagnosis of assembly structural defects is critical test goals and assuring quality in systems. Corelis’ ScanExpress software and CodeRunner emulation products are used by many organizations to develop and test sophisticated, mission-critical systems. Since no test points or fixtures are required for boundary-scan testing, ScanExpress tools can be used to test multiple system designs with the same station to reduce the investment required. Portability also makes Corelis tools ideal for testing systems in the field for quick diagnosis, reducing the load on repair depots. Best of all, ScanExpress Merge can be used to combine test projects for separate assemblies to test a complete test system, without having to develop new test plans. JTAG Boundary-Scan Tools – Use JTAG for interconnect testing and in-system-programming. JTAG Embedded Test – Leverage an embedded CPU to run system functional tests. CodeRunner-RAD750 – Debug radiation-hardened PowerPC RAD750 systems. The complex systems emerging in modern health care contain high density interconnects – test access is a luxury, but test coverage is a necessity. 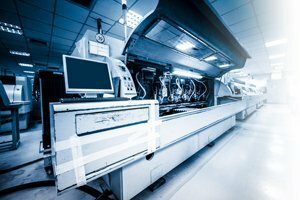 From computer-controlled infusion devices to state-of-the art surgical systems, boundary-scan tools can be used to verify product assembly, test for post-assembly defects, and supplement functional test for electronic systems. Since electronic medical systems often contain a microprocessor, Corelis’ JTAG embedded test (JET) technology can also be used to leverage the embedded processor for functional test and fast in-system-programming, further streamlining any test process and providing a convenient way to integrate peripheral tests without additional equipment. JTAG Boundary-Scan & Embedded Test – Verify high-density, high-reliability electronic printed circuit board assemblies (PCBAs) with industry standard JTAG tools from Corelis. Serial Bus Analyzers and Exerciser – Corelis’ powerful SPI and I2C tools are ideal for debugging, testing, and validating the inter-IC serial buses in modern medical systems. High Performance Products for High-reliability Applications – Corelis JTAG/boundary-scan tools are designed for high performance and reliability—TCK rates up to 100 MHz ensure maximum test and programming throughput. High Test Coverage Without Test Points – JTAG test needs just 4 signal pins to access any boundary-scan capable pin in the system, allowing electronic systems to fit in small medical devices while retaining high test coverage. 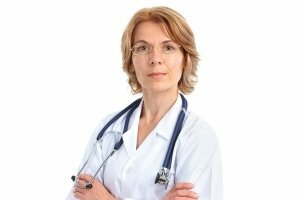 CPU-driven JTAG Embedded System Test – JTAG Embedded Tests (JET) can be applied to microprocessors in medical equipment, providing additional extensive functional tests before the system even boots. The latest industrial and process control electronics are smarter than ever – increased capabilities and connectivity requirements mean systems need powerful microprocessors and connectivity peripherals while maintaining a compact, universal form factor. Boundary-scan capable systems can be tested with minimal test access, providing much-needed test coverage on systems with limited test access. Using JTAG embedded test (JET), the JTAG port can be used to interface with a control system’s microprocessor for basic functional tests, providing a convenient way to quickly develop supplemental structural and functional tests. Additionally, JET can use the control system microprocessor to test embedded peripheral interfaces, such as Ethernet and USB PHYs, allowing verification of functionality with requiring that the system boot or load an operating system. JTAG Boundary-Scan – Use industry-standard IEEE-1149.1 tools to test and program product Printed Circuit Board Assemblies (PCBAs). JTAG Embedded Test – Take advantage of a built-in microprocessor for functional testing—before the system boots. Corelis test products and services are used in a wide variety of industries, from high-volume consumer goods to low-volume military systems. Corelis ScanExpress boundary-scan tools offer an effective way to add structural tests, in-system-programming (ISP), and supplement functional tests to processes for any type of electronic system with IEEE-1149.1 compliant components. For high volume production, boundary-scan and JTAG embedded test (JET) can be run concurrently on multiple units under test (UUTs), increasing test and ISP throughput with a single, small-footprint boundary-scan station. Tests can even be integrated into ICT, MDA, and flying probe systems to further reduce test station footprint and provide greater test automation. JTAG Boundary-Scan & Embedded Test – Test, debug, and program electronic printed circuit board assemblies (PCBAs) in all phases of the product life cycle with industry standard JTAG tools from Corelis. Serial Bus Analyzers and Exerciser – Corelis’ powerful SPI and I2C tools are designed for debugging, testing, and validating inter-IC serial buses in electronic products.